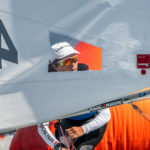 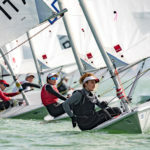 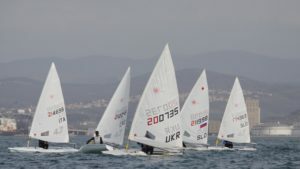 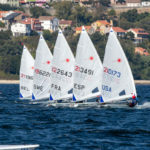 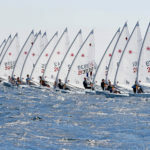 After a first day without wind, on second day all +200 sailors from 15 nations could enjoy of the first races at the 2019 Laser Europa Cup in Koper, Slovenia. 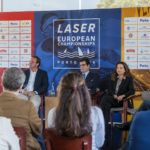 The event is hosted by JK Jadro Koper. 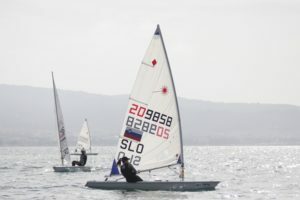 After 2 races the Laser Standard fleet is led by Croatian sailor Mario Novak CRO (5-1), closely followed by local Zan Luka Zelko SLO (3-4). 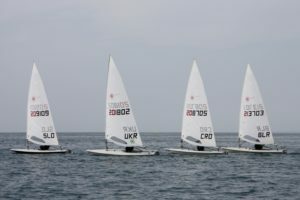 Third place overall and first U21 for Croatian Marko Smoliæ CRO (4-10). 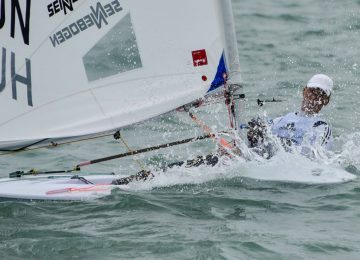 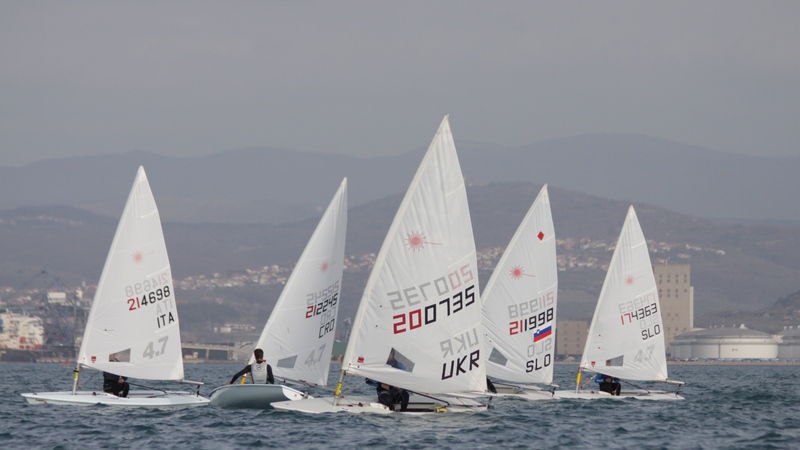 Lin Pletikos is first overall and U21 at the Laser Europa Cup in Koper. 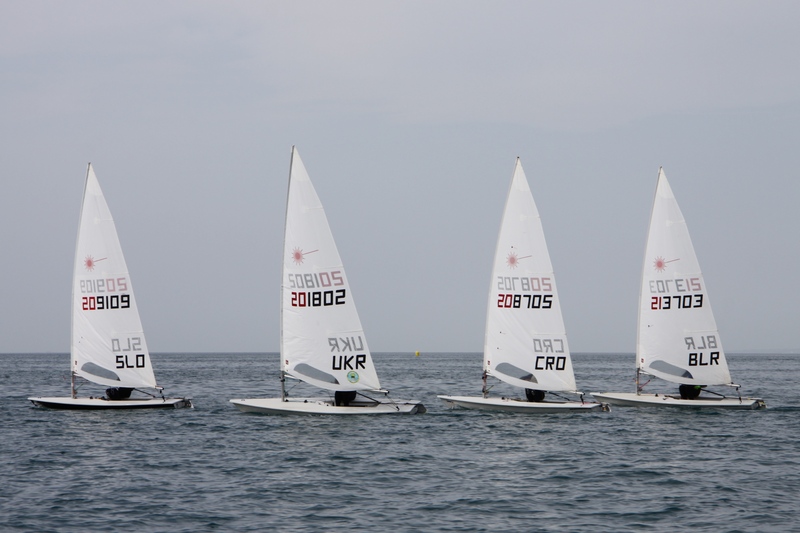 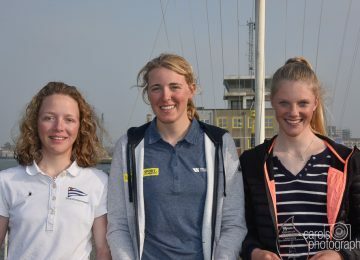 The Laser Radial’s were split in two groups and could only finish one race today due to light winds. 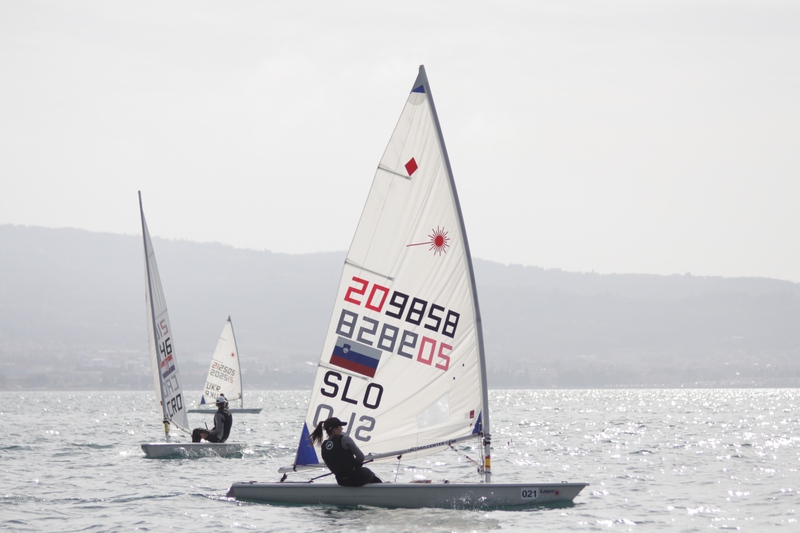 Slovenian’s Lin Pletikos SLO and Peter Milivojevic SLO are the overall leaders with a bullet, followed by Kim Pletikos SLO and Anatasiia Gafenko UKR with 2 points. 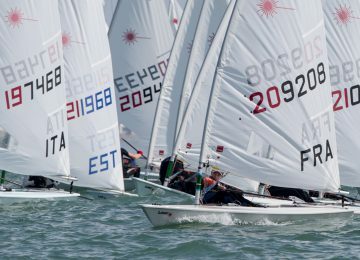 The Laser 4.7 class was also divided in two fleets, where Croatian Ursula Balas CRO and Hungarian Bendeguz Nagy HUN won the single races played today, escorted by Italian Orsola Nuvolari ITA and local Gasper Strahovnik CRO. 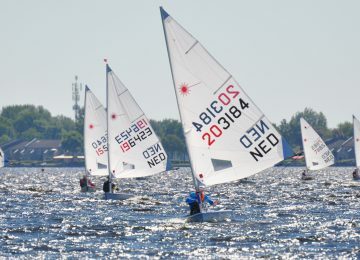 Sunday will be the last day of competition so stay tune! 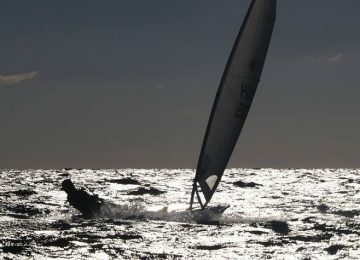 By Agustín Argüelles – EurILCA | Photos: Jana Pines – JK Jadro Koper.